Great to have you all involved. 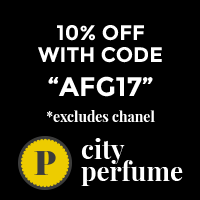 Libertine Parfumerie site has an extraordinary range and FREE AUSTRALIAN SHIPPING over $100. They are always great supporters of APJ and we love them. Also you get a BUNCH of samples with every order. Only affiliated by friendship. The winners will have till Wednesday 21th December 2016 to get in touch (portia underscore turbo at yahoo dot com dot au) with their address or the prize will go to someone else.